Clean Up the World! - Campaign was initiated by the United Nations Environment Program (UNEP) in 1992. 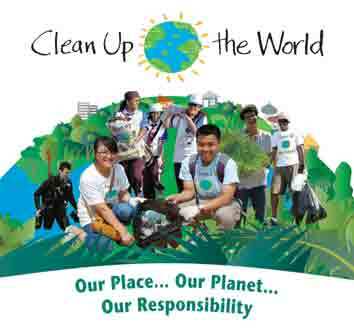 The campaign brings together governments, businesses, community groups, schools, and individuals for carrying out large-scale clean up actions and implementation of relevant programmes, which takes place traditionally in September in 134 countries annually (Georgia joined the “ Clean Up the World” campaign in 2010 and became 121st country placed on global environmental map). In the framework of the project“Clean Up Georgia – Raising of Public Awareness and Involvement in Solid Waste Management Improvement ” (Phase II), Georgian Society of Nature Explorers “Orchis” purchased about 1100 coniferous and deciduous plants from “Georgian Plants”, Ltd and “ Basic Forest Nursery Garden”, Legal Person of Public Law which on June 18-19 were planted in Rustavi and Kaspi Municipalities. The participants of the action were representatives of the Administration and Assembly, teachers of kindergartens, population, students, and school pupils. 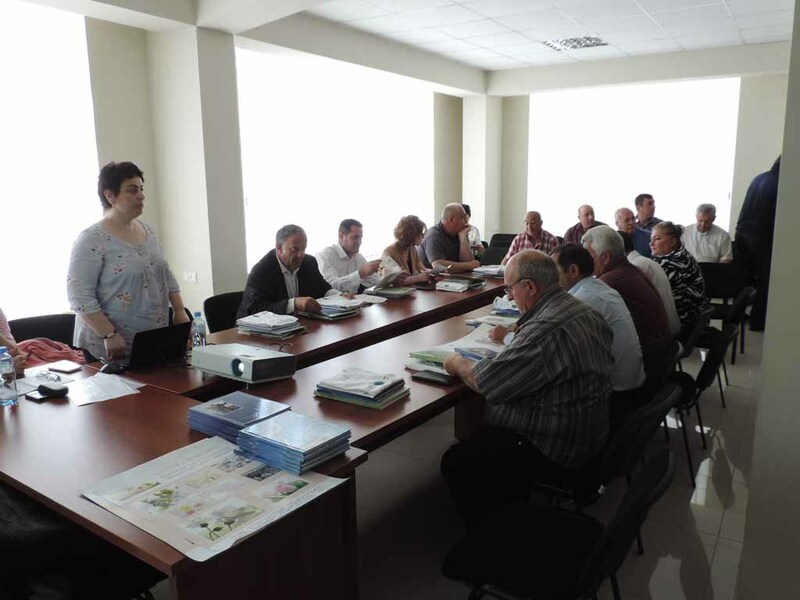 Training was provided to the action participants, also they were given books – “Recovery of Forest Habitats in Georgia”. They expressed their readiness to continue the cooperation in future. 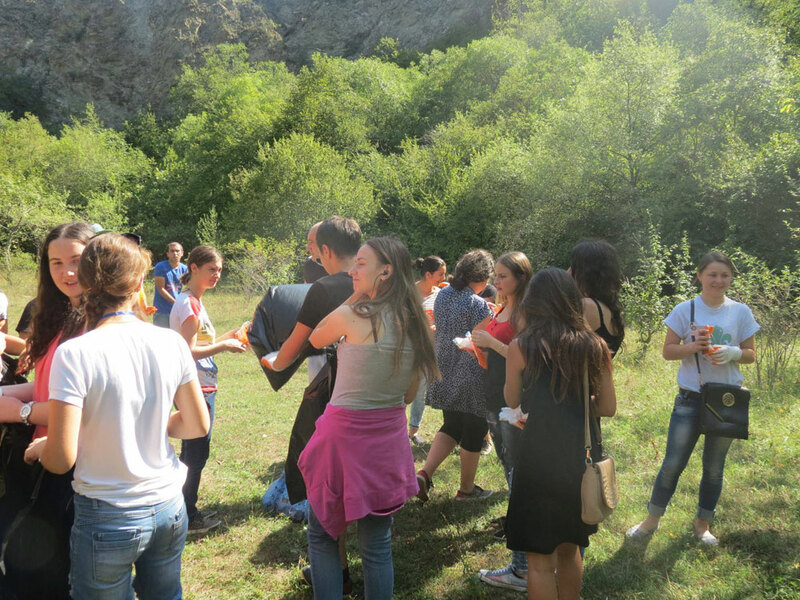 On June 15, 2015, in the framework of the project “Clean Up Georgia – Raising of Public Awareness and Involvement in Solid Waste Management Improvement ” (Phase II), Georgian Society of Nature Explorers “Orchis” arranged a Meeting in Imereti Region (Kutaisi city) with the participation of the Governor of Imereti region, his Deputies, Administrators and Assembly chairmen of Kutaisi, Bagdati, Terjola, Zestaponi, Tskaltubo, Kharagauli, Chatura, Sachkhere, Tkibuli, Samtredia, Khoni, Vani, Zestaponi municipalities and their deputies. 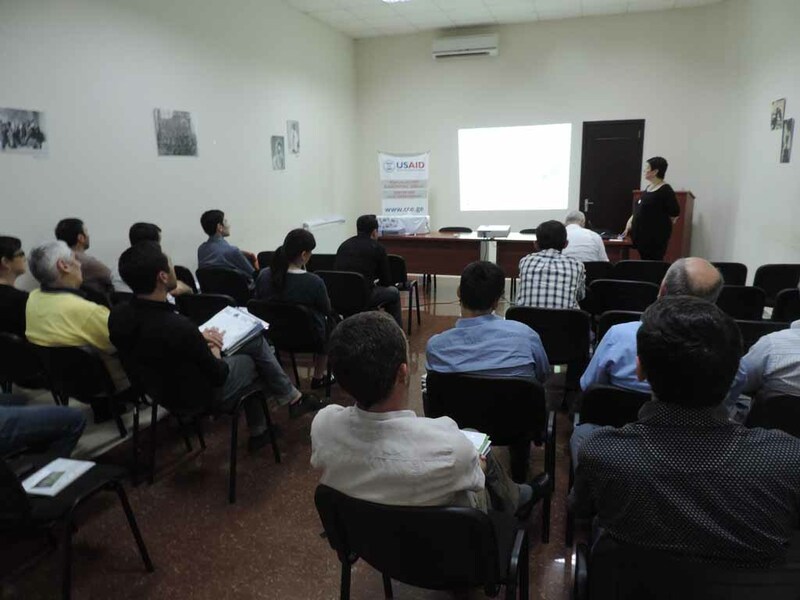 On June 12, 2015, in the framework of the project “Clean Up Georgia – Raising of Public Awareness and Involvement in Solid Waste Management Improvement ” (Phase II), Georgian Society of Nature Explorers “Orchis” arranged a Meeting in Adjara (Batumi city) with the participation of the representatives of Batumi City Hall, teh Adjara Autonomous Republic Environment Protection and Natural resources Department, Kobuleti, Khulo, Keda, Khelvachauri, Shuakhevi municipalities Assemblies and Administrations, representatives of Batumi city Company of Limited Liabilities “Sandasuptaveba”, Keda Municipality Company of Limited Liabilities “Komunalservisi” and others. 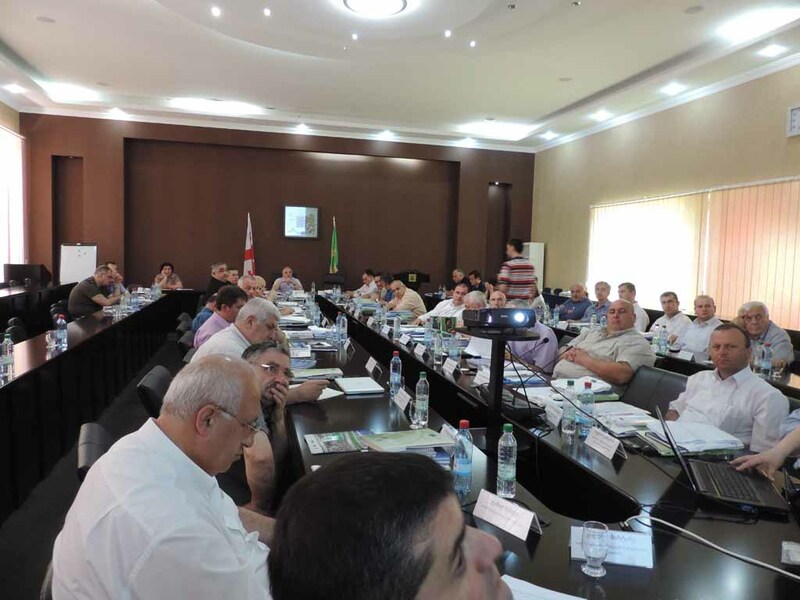 On June 16, 2015, in Tbilisi, at the hotel ‘Radisson Blu Iveria’ NGO ‘EcoVision’ arranged the national meeting of the educational component of the project ‘Clean Up Georgia – Raising of Public Awareness and Involvement in Solid Waste Management Improvement’ (Phase II). 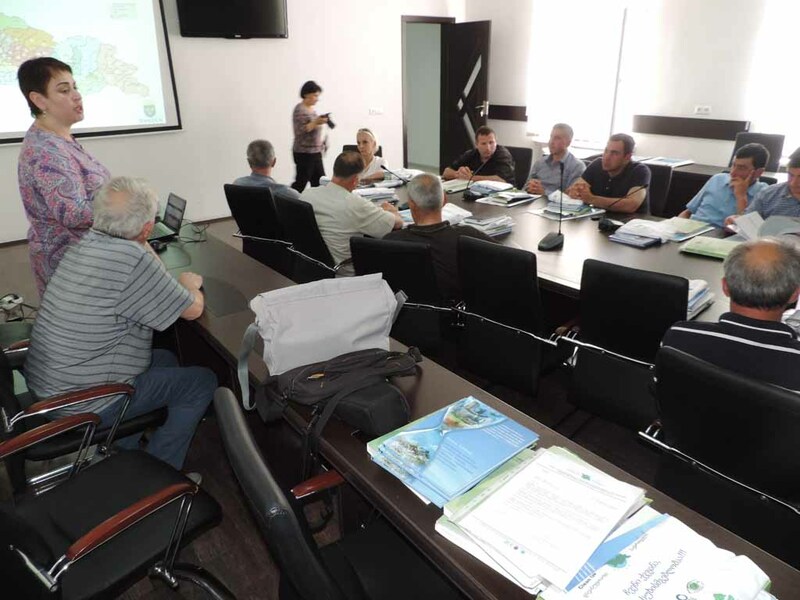 On June 9, 2015, in the framework of the project “Clean Up Georgia – Raising of Public Awareness and Involvement in Solid Waste Management Improvement ” (Phase II), Georgian Society of Nature Explorers “Orchis” arranged a Meeting in Samegrelo-Zemo Svaneti region (Zugdidi city) with the participation of the Deputies of Assemblies Chairmen and Administrators of Chkhorotsku, Tsalenjikha, Khobi, Martvili, Abasha, Senaki, Mestia municipalities. representatives of companies of limited responsibilities, non-governmental organizations and others. 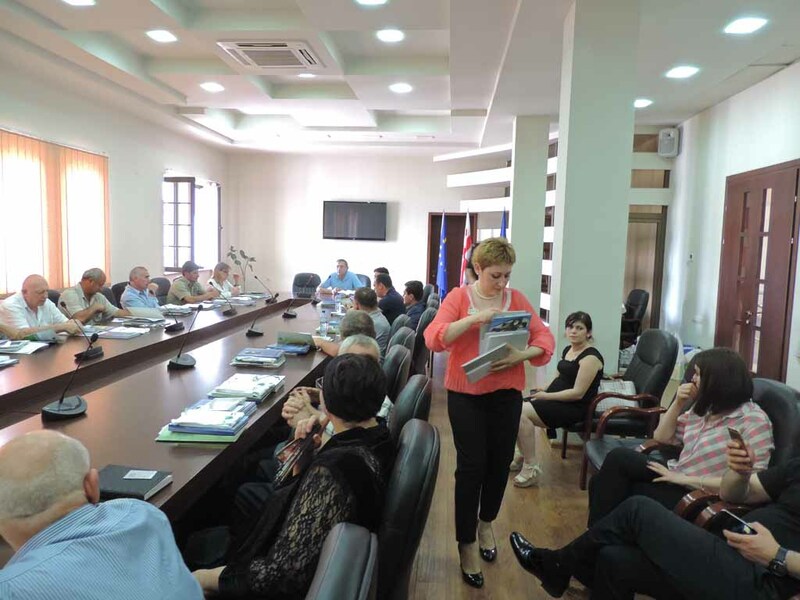 On June 1, 2015, in the framework of the project “Clean Up Georgia – Raising of Public Awareness and Involvement in Solid Waste Management Improvement ” (Phase II), Georgian Society of Nature Explorers “Orchis” arranged a Meeting in Kaspi Municipality with the participation of the Deputy Administrator of Kaspi Administration (Gamgeoba), representatives of territorial agencies of Kavtiskhevi, Kvemo Chala, Kodistskaro, Akhaltsikhe, Zemo Khandaki, Tsinarekhi, Akhalkalaki, Kavtiskhevi, Doesi, Khovle, Teliani, Lamiskana, Kv. Gomi, Okami, Metekhi, Samtavisi; representatives of Kaspi Administrator services, companies limited, and others. 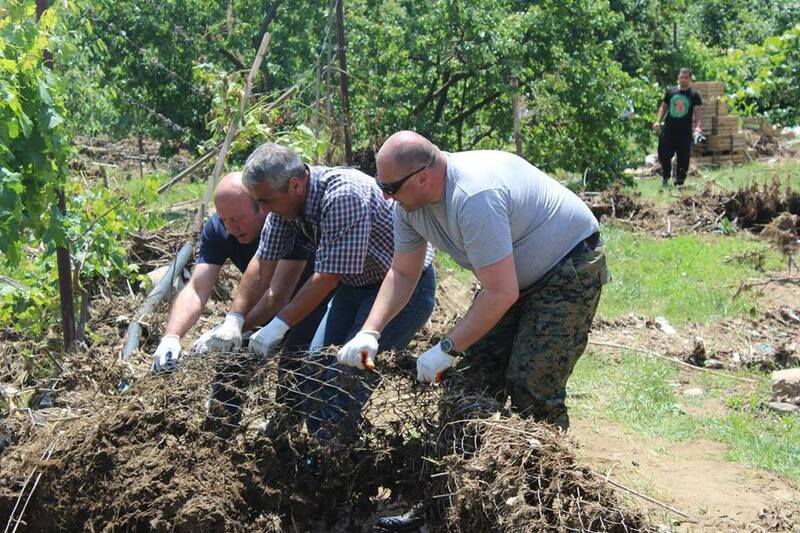 On May 28, 2015, in the framework of the project “Clean Up Georgia – Raising of Public Awareness and Involvement in Solid Waste Management Improvement ” (Phase II), Georgian Society of Nature Explorers “Orchis” arranged a Meeting in Sagarejo Municipality with the participation of the Administrator of Sagarejo Administration (Gamgeoba), Deputy Chairman of the Sakrebulo (Assembly), representatives of administrators of the villages of Badiauri, Patardzeuli, Tulari, Manavi, Kandauri, Iormuganlo, Chailuri, Verkhviani, Lambalo, Patara Chailuri, Mzisguli, the city of Sagarejo, Giorgitsminda, Ninotsminda; representatives of Sagarejo Administration (Gamgeoba) and Assembly (Sakrebulo), Center of Democratic Involvement, company limited, and others.